A suburb south of Denver, Centennial, Colorado, is consistently ranked as one of the best places to live in Denver, with the distinction of being the 15th safest city in the country. With top-notch schools and amazing neighborhoods close to the mountains, Centennial is a great place to consider if looking to buy a home in the Denver area. Mile High Home Sales located in Denver, CO, is a top-rated real estate agency that values customer relations. Contact us today for all of your Denver real estate needs. Centennial, Colorado, is a relatively new suburb of Denver, having only been incorporated in 2001. Centennial reflects Colorado’s nickname, “The Centennial State,” which celebrates the fact Colorado was admitted to the Union as the 38th state in 1876, America’s centennial year. Governed by a home rule charter, Centennial covers approximately 27 miles and is roughly divided in half by I-25. Recreation is important to the residents of Centennial, which boasts plenty of open spaces with recreational trails and parks. Centennial City Park is a great place to spend the day with the kids or the dogs. Boasting a splash pad in the summer, kids can come and spend the day cooling down and playing in the sun. A climbing wall, a huge slide built into a hill, and tons of other playground activities await for kids to exert their pent-up energy. Lots of shade for picnics and open grass areas for frisbee with your dog, Centennial City Park is located off Arapahoe Road. If you play golf, then visit TopGolf in Centennial. TopGolf is an indoor/outdoor venue, which is far from your typical golf course. Practice your game while you eat, drink, listen to live music, and visit the arcade room. Full of fun, TopGolf has something for the whole family. Canvas and Cocktails is a local painting place that offers classes with instructors who guide you through a particular canvas. A menu is available for food and drinks as well, both alcoholic and non-alcoholic. Check out their special class selection, such as family day, kids’ paint day, or holiday-specific classes, such as holiday ornament painting. Canvas and Cocktails located on University Boulevard is the perfect place to spend an evening letting your creative side shine through. Centennial also has amazing neighborhoods to plant roots. Cherry Creek Public School District, one of the best in Colorado, is the school system for much of Centennial. Mile High Real Estate would like to highlight Peakview Village, a new subdivision located within Cherry Creek School District. Family-friendly with close proximity to the Denver Tech Center and downtown Denver, Peakview Village is adjacent to Centennial Park and Cherry Creek State Park, which features a dog park, miles of trails, a shooting range, a campground, and horseback riding, plus fishing, boating, and a swim beach. Mile High Home Sales in Denver, Colorado, is one of the best Denver real estate companies. We specialize in helping homeowners find the home of their dreams and help those selling their homes close on their home sale quickly. Contact us today! Those of us with children know education is a BIG deal. If one is to succeed in this world, one has to have a good education. And education starts from the moment of birth. From your baby’s first breath to his or her last’s, learning never stops. And in the beginning, it is non-stop learning (part of the reason your baby sleeps so much!). From deciphering expressions, learning how to pick up objects, learning how to crawl and then walk, and then learning how to stand up once you fall, babies are learning machines. It’s the job of parents to ensure learning never stops and progresses throughout childhood and beyond. The first major choice many parents face in their child’s education is pre-school. Predominantly a time for play, preschool is more important in developing social interactions than learning your ABCs. Furthermore, preschool prepares your child for elementary school. And this is where housing becomes a major factor in home purchases. Mile High Home Sales understands the importance a neighborhood school is in your decision to buy a home. We provide all of our real estate clients with information on the local schools, the charter schools, and the private schools in a home’s area. Education is a choice, and our Denver Real Estate agents understand the importance of that choice. The public school system receives funding based on the number of students who attend the school. This is standard across the state of Colorado. The difference in schools lies in the outside funds the school attracts, which the school uses to improve its education. Also, schools are a product of their teachers and administration. Decisions on spending and educational philosophy are made at the school level. In the modern age with the internet, schools understand that the usual first point of contact with a prospective student is the Internet via a parent. With that in mind, there are many resources available for parents when they are making a decision on where to buy a home based on the school system. .Every school unless you’re in a rural area has a website. Dive into the particulars from school hours, standardized test scores, teacher bios, extracurricular activities, school lunch menus, and course offerings on these sites. These are a wealth of information and often offer contract numbers to find out more. Online review sites such as Google, Yelp, and Top Rated Local® offer reviews on the school often from parents on what they like and don’t like. These are great resources for unbiased opinions and insights into school happenings. Social media also offers up unique insights. Visit the school’s Facebook, Instagram, SnapChat, or other social media platforms for additional gleanings about the school. Often, you’ll find candid images that speak louder than words. Glassdoor, the online work review website, will give you insight into how the teachers view the school, teacher satisfaction, teacher pay, and overall teacher morale, which is huge in your child’s education. Wikipedia has an article on most schools as well. These articles are usually just the facts, but you can learn about the school population, the curriculum, and test scores here as well. These are just some of the resources available to the prospective home buyer. At Mile High Home Sales with our years of experience in the Denver Real Estate market, we can offer insights as well into particular schools as well as more information. Education is a powerful influencer in the decision to buy a home. Although there are no hard statistics, many people sell their home and buy another home just to move their kids to a different school district. Education is a big part of kids’ lives (13 years at your home at least), and a school environment plays a huge role in not only your child’s educational flourishing, but their social and mental well-being as well. All parents want their kids to like school and like attending school. As your Denver Real Estate agent, Mile High Home Sales can help you choose homes based off of school districts. Contact us today! 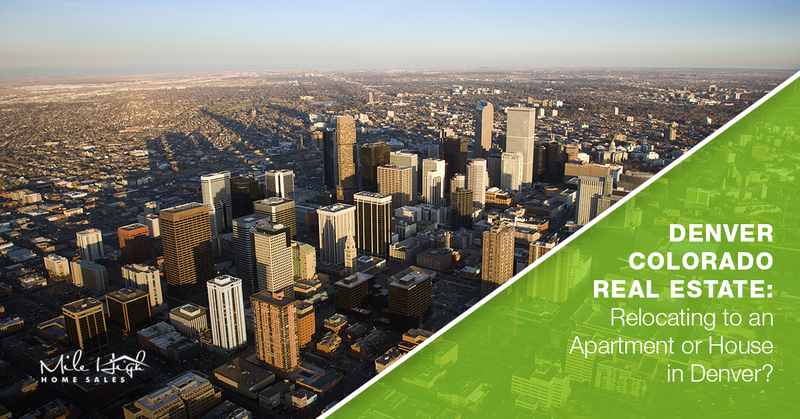 Denver Colorado Real Estate : Relocating to an Apartment or House in Denver? Welcome to Denver, Colorado! If you are relocating to this area, you are in luck! You are part of the mass migration to this marvelous American city. You might wonder, why the migration? What is so special about Denver? Well, Colorado as a whole is a very tranquil state. Here, you can enjoy the luxuriousness of big city life, while also nestling down in a quiet country town. Colorado offers its residents the best of both worlds, and because of this, fitting in here is easy for anybody! Everyone has a place here in Denver, Colorado. But, if you are struggling to find a <strong>living</strong>place, Mile High Home Sales can help you! In this blog, we will discuss some of the many ways our business can assist relocators to the Denver area. On our site, you will get exclusive access to all the resources you need to make Denver your new home. Visit our site today! When looking for a home, it is important that you figure out your price range. Once you narrow down how much money you can officially spend on a house, this will narrow down what neighborhood you will live in. For instance, if you have a middle to high price range, Cherry Creek real estate might be more your style. Of course, there are other options too, such as apartments downtown or even townhouses a little farther out of the city. Either way, your budget will determine which neighborhood and homes suit you most. Once you determine your estimated budget, now the real fun begins! You get to look at Denver listings! If you are looking for a home or apartment, you need to check out Mile High Home Sales. On our site, you will be able to gain resources valuable to your search. For example, with just one call to us, we can offer you a free buyer consultation. This process is easy, as a member of our official team will be assigned to you. During your call, our representative will be able to discuss your needs and explain the buying process, long before you relocate to the Denver area. This can be a valuable resource because you will get advice from a trained professional who knows and understands the area. Denver natives know Colorado like no one else. Gaining information for our team of Coloradans is a great way to get inside information about the city you might one day call home. Without having advisors on the city you would like to move to, you may make serious purchasing mistakes. But, with Mile High Home Sales, we make sure all our staff know Denver like the back of their hand! When it comes to Colorado real estate, it is as changing as the weather here. Nothing is ever constant, so it is good to keep tabs on the market as much as possible. And, because so many people from California and Nevada are relocating to Colorado, listings can get snatched up quickly. If you don’t remain vigilant, countless opportunities can pass you by. With Mile High Home Sales, our team members will offer you daily emails with new property listings that come on the market. This way, you will be able to keep one step ahead of other buyers and make sure you are not outbid by anyone who wants the same house as you. In some situations, you can really love a home or an apartment, but someone is quicker than you and puts on offer on the property. This happens more than you would think, so it is important that you do everything possible to make sure you are given listings as they happen. Our business also updates our online listings hourly for your convenience. We do this to ensure that all of our customers get the information they need quickly and accurately. By having an assigned representative, updated information, and daily notification services, we can assist with your property buying process. Though home and apartment buying can be stressful, it doesn’t have to be. With the information you need only a phone call away, you have a better chance of improving your buying process. Relocating to Denver is a great idea. The city has plenty to offer anyone, such as jobs, cuisine, theme parks, and a wonderful community. 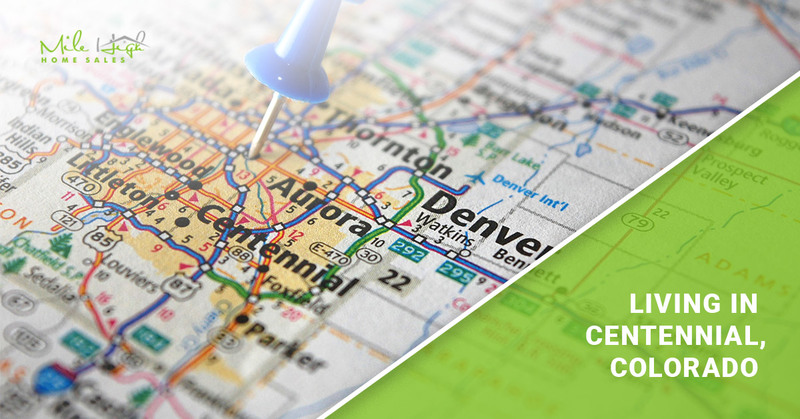 Here in Denver, there are many different neighborhoods that can suit your lifestyle and budget. Best of all, while you live in Denver you can still reap the benefits of the entire state of Colorado; you can enjoy the sounds of Red Rocks Amphitheatre or hike the Rocky Mountains whenever you would like. We welcome you to Denver and would like to help you with your relocation process. Contact Mile High Home Sales today for our buying services. First impressions are extremely important, especially when you want to sell your home. You may think this begins when the potential buyer walks in the doorway, but it isn’t. The first impression starts from the curb. The home’s outside aesthetic sets the attitude buyers take inside with them. If it is maintained and in good condition, the inside likely is as well. If you need to increase your curb appeal, take these tips into consideration. Edging your yard and driveway gives it a defining look. Use pavers, stone, or brick along the sides of the driveway to create a finished and clean aesthetic. These should be approximately two inches above the pavement to catch the eye. You can use this same process around the perimeter of your yard, or, create a bern. A bern incorporates the edging along with plants, mulch, and pavers. It allows you to create shapes that chop up the empty space and create intrigue. One of the most important aspects to increase your curb appeal is landscaping. The most wanted form of landscaping is raised flower beds, which dramatically raise your house’s appeal. You may want to plant flowers in front of the house, in hanging baskets from your porch, or other areas of the front yard depending on sun availability. While landscaping, you should also cut back any excess tree branches or bushes that take away from curb appeal. These overgrown plants tell potential buyers you do not care for or maintain the home. If you have large trees, you often find the grass in the shade surrounding it does not grow. Cover this area while landscaping. It does not need to be flowers, you can simply place an edging border there and fill it with mulch. It adds interest, takes away empty space, and is easy to maintain. Once the rest of your yard is complete, ensure your house is up to date. The paint needs to be free from dirt and not peeling. Place a fresh color on the door such as red or orange that pops from the street. Even your outside porch light, mailbox, and door handle can make a statement. When these minor details are complete, look over your garage doors as well. These take up a good portion of the front house and are statement pieces. Garage doors are constructed from wood, fiberglass, or steel. You may want a vibrant color, detailed design, or windows added in to create a bigger presence. When you increase your curb appeal, you increase your house value. Not only will you drive more buyers into your house, you will make them pay more. If you are considering selling, contact Laurie Stoessel at 303-378-2320. She is a professional and respected real estate agent who can give you ideas about curb appeal that get you the most return. When you purchase a home, you have the option to ask for a home warranty. Many homeowners include it with the sale because of its low cost and appeal to buyers. These almost always come with a new build as well to guarantee the builder’s workmanship. House buyers are not always aware of this option, though, and may not know why they should have one. The cost is extremely minimal for the benefits of a home warranty that you will receive. You can purchase a home warranty at any time, even as you are selling your house. If you agree to give the buyer a warranty upon purchase, then you receive coverage as well. The coverage starts when you commit to this and ends when the home is sold. While on the warranty, system and appliance failures are covered. This saves you money because you won’t need to worry about the repairs. When you decide to utilize a home warranty, you will find it is beneficial to everyone. In fact, there are even benefits to your real estate agent who is notified when there is a claim. It allows her to stay up-to-date on you and your housing needs. This is only one of the reasons you should choose an agent who you trust and want to form a long-term relationship with. When you are ready to begin your house search, contact Laurie Stoessel at 303-378-2320 to start your house hunting relationship. Denver, Colorado offers many exciting festivals, events, and entertainment throughout the year. It is one of the reasons the city attracts so many people. While everyone is aware of skiing, snowboard, and other winter activities in February, there are even more things to do in Denver. Change up your average February by partaking in one of these activities this month. Take in an NBA game with the Denver Nuggets during February. 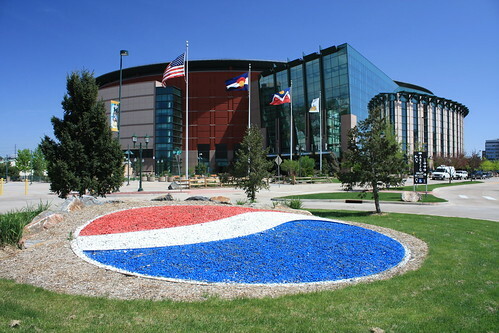 The professional basketball team plays at the Pepsi Center for all home games. This includes February 3, February 5, and February 18th in 2014. If sitting in the stadium crowd is not up your alley, there are plenty of sports bars where you can share a beer and conversation with other fans. Find inspiration for your home or to daydream about future the possibilities at the Colorado Home and Garden Show. Each year, this event brings together vendors, homebuilders, and local gardeners to showcase new technology and trends. The themes for the show cover gardening, landscaping, and home improvement. You can find it at the Colorado Convention Center beginning February 15, 2014. Foodies will enjoy two weeks of Denver’s best food at fixed prices. Restaurants from all over the metro area participate in food week, which offers a multi-course meal for only $30. You can take advantage of this daily or once during the two weeks. It gives you an opportunity to check out the food in the metro area’s favorite food spots. This event occurs twice a year for double the enjoyment. The Byers-Evans House Museum is showcasing an art display titled ‘Flower Face’ this February. This show features art by a Denver resident utilizing still photography shots. Each photograph is a picture of a model’s face that the artist carefully glued flower arrangements on. The show opens at 10AM every day and is free for the public to attend. While there, you can view the house itself that is a piece of Denver’s history. It has been restored back to the early 1900’s and features beautiful architectural and design details. Get some exercise and take in the sights on the Bikalope Tour. Tour guides spend two and a half hours with you as you cycle the city to take in the history, atmosphere, and views. You may ride one of their bikes or save a few dollars by bringing your own. Either way, a helmet is required. The tour is appropriate for all ages and abilities because it is focused on the city’s art and not the speed of your bike. There are many things to do in Denver whether you are a visitor or a lifelong resident. Annual festivals occur each month and events such as Monster Jam in February. When you find that your attractive to the Denver metro area is leading you to move there, contact Laurie Stoessel at 303-378-2320. She can help you track down the neighborhood where your favorite events occur so you can get out while staying close to your new home. When you are ready to purchase a house, many factors are taken into consideration by mortgage lenders. These, such as payment history, salary, and current economy, affect the amount you can take out and the interest rate that will be charged. Your credit score, though, is also a large factor in these. Find out more about how it affects the house you can afford. Mortgage lenders see your score as a predictor to getting their money back. The higher the number, the more likely they are to be paid back in full. If you are planning on taking out a government-backed loan, you need a minimum credit score of 620. Some companies, though, can reject you if too much of your income is spent on previous debt. The government also offers FHA loans that you only need a 580 score for. FHAs need to be used on homes that meet specific criteria and allow you to have a lower down payment. Veterans can attain mortgages regardless of credit scores, though interest rates are affected. The lower your credit score, the higher your interest rate. This ensures that the bank gets their money back faster in case of foreclosure or non-payment. Interest rates vary on a daily basis, but a credit score of 760 may get you an interest rate around four percent. Move the score to 620 and your interest rate suddenly jumps to over five and a half percent. It may seem like a small percent difference, but over the lifetime of the loan it adds up. As your score affects your interest rate, it also determines your budget. With a lower interest rate, you may find that you can purchase a more expensive house because less is put into interest. Most people find, though, suddenly they need to find a smaller home or focus on short sales and foreclosures to get the property they want. The higher interest rate can be a difference of $50,000 over the loan’s life. When you thought you could afford a home at $300,000, suddenly you need to find one for $250,000. Remember that credit scores change on a monthly basis, so you can do work to raise the number. Start by looking over your credit report, which can be done for free each year, to ensure there are no errors pulling your credit down. If so, render these immediately. Any accounts with zero balance should be left open, not closed. This actually helps boost your score, especially if it is an older account. And, if you have multiple accounts, it helps your credit if you have a little on each one rather than a lot on one and none on the other. This is because it shows that you handle the payments correctly. It is important to note that each mortgage lender has their own criteria for determining your credit score. While one bank may find you are at 615, another may put you at 652. This is why shopping around can be helpful if you are close. Your realtor may have tips for you as well that are specific toward your situation. When you are ready to discuss buying a house and the process, contact an experienced realtor like Laurie Stoessel at (303) 378-2320 today. The kitchen is the most expensive room in your home that you can remodel. It is filled with cabinets, countertops, and expensive appliances along with the walls, floor, and plumbing. To get the best return, you may want to pay attention to the upcoming kitchen trends. These can help you increase your home value and allow you to list it for more if you choose to sell. The current countertop trend is for dark, black countertops. People want it to contrast against the other lighter tones on the cabinets and islands. Most homeowners are choosing to use granite or quartz to get a smooth look and feel, but there are other materials available as well. Concrete, for example, is friendly on your budget and can be dyed to get that deep black color. 2014 is the year to show off your cabinets and kitchen knick-knacks. Kitchen cabinets are now fronted with glass doors so that you can display plates, glasses, and other items. It does mean you may need to be a little neater when you put things away. Another trend, that starts in the kitchen, but worked its way throughout the house, is glass shelves. These can be hung on any wall to display vases or other decorative items. You may even want to keep your plates or coffee cups for easy access. Glass is ideal though, because your eye goes through it and the space then feels larger. Remodel your kitchen with eco-friendly materials like bamboo and cork. These materials may cost more upfront, but generally last longer and are free of chemicals or additives others may have. These are also generally efficient, holding in heat and muffling noise. Along with the eco-friendly materials, choose energy efficient appliances and lighting as well. This helps lower electric, gas, and water bills, which appeals to everyone. You may, however, want to choose appliances with personality. 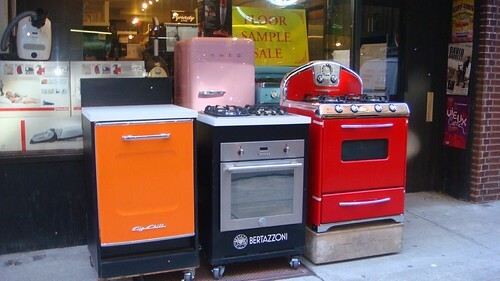 Rather than stainless steel, choose one that comes in blue, red, or another bold color. 2014 is the year to let your kitchen show off its full personality with dark paint colors and bold appliances. Every year, new technology is released that makes cooking and cleaning a streamlined process. That is why many people choose to have it in their home. It may be that your fridge, stove, and microwave use touch screens so that there are no buttons. Perhaps, it is the eco-friendly wash on your dishwasher. You might, though, go even further and purchase a stove hood that has a built in television. There is a new stovetop available that retracts into the counter when not in use for safety. These will impress any potential buyer. When you remodel your home, it is important to remember that it needs to appeal to potential buyers as well as yourself. This is true even if you are not intending to sell soon. The kitchen remodel is so expensive that it is not done very often so you want to get the most out of your money. By appealing to a wider audience, it increases your home value. You may find that you are getting back double what you put into it when listing the house. If you want tips on remodeling your kitchen, contact Laurie Stoessel at (303) 378-2320 who can advise you on selling your home. With the recovery of the housing marketing, now is the time to get your foot in the door. It is not often that listing prices and interest rates are both low. It is especially ideal if you are intending to purchase an investment/rental property. This allows you to get a higher return and profit more since less will go to paying the mortgage. Follow our tips when looking to purchase an investment property. 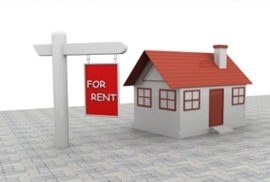 There are a variety of listings that can be rented out, but it is important to choose the one that meets your needs. You will want to consider options such as condos, duplexes, and single-family homes. The condo is generally more expensive, but you will not need to worry about completing any maintenance. 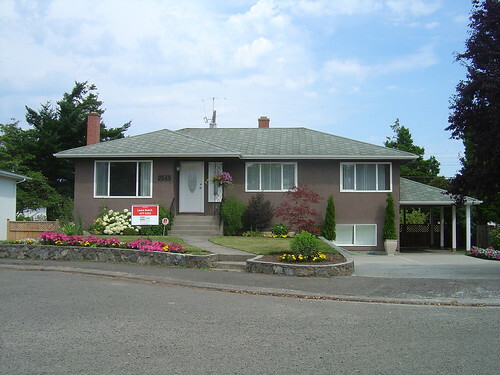 Duplexes allow you to have control over the property and give you two rentals. This can be more profitable, but that also means more money going in for maintenance or issues that may arise. A single-family home is usually rented long term, though it can often be altered to create a few apartments. It has the advantages of the duplex, but only one family to take care of. The location affects the type of tenant you will have as well as your rental price. Purchasing in a more expensive area means you can list the rent for more, however, you may find there are less people willing to rent. If you want to ensure your property is always filled, search for homes near colleges. Students are always looking to rent and there are always new ones moving in. They can, however, be high risk due to damages that may be done from parties and less cleaning/care. No matter where you decide to buy, it needs to be a location that has potential renters. This means it should be a densely populated or highly desirable neighborhood. Ensure that your property is thoroughly inspected prior to purchasing. Even if does not affect the sale you want to know every problem the home has. The conditions need to meet codes and be deemed livable in order to rent it out. Where you may feel comfortable living, a tenant may not. You do not want to end up finding you have a serious electrical or water damage after renting your investment property out. This is expensive not only because you need to fix the issue, but you need to pay to put your tenant up as well. He may even be able to sue for property or health damage dependent on the circumstances. There are always homes listed on the market that can be ideal for investment properties. You may want to consider short sales or foreclosures to get a better deal depending on your capabilities. It is important to note that buying an investment property is much different from buying your dream home. Use a real estate agent like Laurie Stoessel who is experienced and knowledgeable in both rental properties and the city. She can be contacted today at (303)378-2320. Whether you are buying or selling a home, there are a variety of sales on the market. Many are attracted to foreclosures and short sales because of lower listing prices. While the bank owns foreclosures, short sales are handled differently. Find the information you need to get started on your search below. This type of sale occurs when the owner is defaulting on their loan, but has not yet entered foreclosure. The home’s value is not worth the amount of the mortgage and the bank must agree to sell it for less. When a bank does agree to the short sale, it saves them from needing the sell the home as well as the expenses that come with going through the foreclosure process. 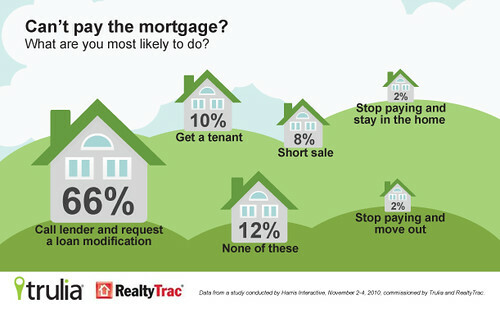 If you intend to sell your home through a short sale, it can be a hassle. The bank will need to agree to the purchase price before it can go through. As the seller though, you will not have a foreclosure to your name that can affect your credit score. Though you no longer own the house once sold, you are still required to pay back the mortgage in full with the bank. With a foreclosure, though, the bank can sue for a deficiency judgment to attain the money you owe as well. This greatly impacts your credit. If you are a smart buyer, then these sales can be ideal for investment properties. The listing prices are highly discounted. If you are able to do a lot of the repairs yourself, you can increase the house value and flip it to sell for profit. 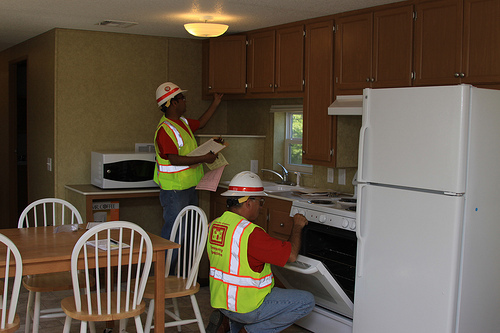 Another option is to repair the home and use it as a rental property. Many young families also invest in this type of house because they are able to acquire more square footage in their budget. The family then slowly fixes the house up and when they do decide to sell, can make a profit. When coming to a purchasing agreement, the homeowner can be a hassle to some buyers. They may be unwilling to budge on negotiation factors, need to be evicted from the home, or damage the property prior to moving. With a short sale, the owner wants to get rid of the house as quickly as possible because his credit can still be saved. This allows him to go on to buy new property much sooner. It is unlikely that you will run into these problems. Just like the homeowners, banks are more cooperative with short sales, too. This is because it saves the bank a lot of expenses the sooner the house is off the market. If you purchase using the same mortgage lender, you may find that you are offered lower interest rates or other deals in order to make the sale occur. Short sales can be beneficial to both the seller and the buyer. It is a longer process, though, because it needs both homeowner and bank agreement. Because the home is discounted, you may need to pay for the appraisal yourself or skip the inspection. However, in a couple months, you can have your dream home for a dream price. Whether you are looking to sell or buy a short sale home, contact Laurie Stoessel at (720) 547-8786 who can help walk you through the process.